Buenos Dias! 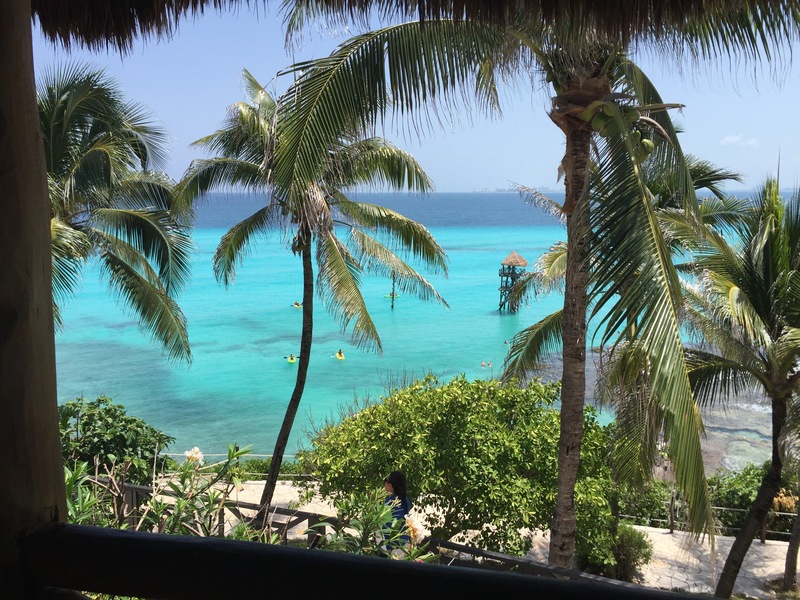 If you read Peter’s post on our experiences in Cancun, you already know that I dealt with a bit of culture shock the first day we arrived in Mexico. Okay, by “a bit” I mean my heart was pounding, palms were sweating, and I felt a little nauseous. 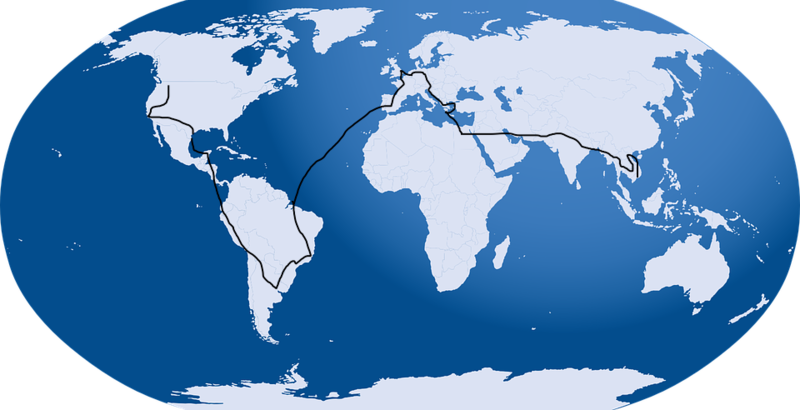 Luckily, my nerves were unfounded and I quickly got over my initial concerns of being in an entirely new country with no concrete plans of where to go or what to do. Although, I came to feel quite comfortable in the cities of Mexico, I still found many aspects of this country interesting and different. I am writing this post from a Mexican bus driving from Merida to Cancun, so I’ll start with this topic. One thing that surprised me about Mexico is the quality of the buses. In short, they are very nice. The main long distance bus is Premio (first) class and it has air conditioning, outlets between all the seats, comfortable chairs that recline, a bathroom, and they play popular American movies the whole ride. (We are currently watching Mission Impossible: Rogue Nation. American music and movies are common here.) If you get the Platinum class, you’re basically treated like a queen by travel standards. You have fully reclining chairs that have extended foot rests, personal movie screens for each person, separate men and women bathrooms, air purification, and even a station for hot and cold water to make coffee. It’s a plush ride for sure. Peter and I were too cheap to shell out the “big bucks” (probably like $30USD per person for a 4 hour ride) and opted for the Premio class, which cost us about $30USD for both of us together. No café latte for us, but we did get to buy a few bags of Doritos and Lays chips with packets of hot sauce inside them, so a fair trade I suppose. If you felt shocked by our bus fare, here’s a little tidbit: Mexico is CHEAP. Okay, I know that everyone already knows this, but I never truly appreciated it until I showed up and started spending money. Right now $1 U.S. dollar gets you over $18.50 pesos in Mexico, making a cheap country even cheaper. Here, I can get two enchiladas and a freshly blended pineapple drink for under $2USD. Is this real life?! We caught an Uber across town (because yes, Uber is in Mexico) for about $1USD. I’m doing my frugal happy dance about 24 hours a day here. I will write more on the savings in Mexico and our daily budget soon. Speaking of transportation, let’s talk about Peter’s and my new favorite way to get around: Taxi Colectivos. Why don’t we have these in the U.S.?! Taxi Colectivos are very common in Mexico. They are a van taxi where you pay very cheap prices (think $1.50USD per person for 45 minutes of driving) that have air conditioning and are much faster than the public bus. What’s the catch? You just have to ride with other people you don’t know who need to go in the same general direction and make stops for them. In a way, you’re all sharing the price of the taxi, although you pay individually. 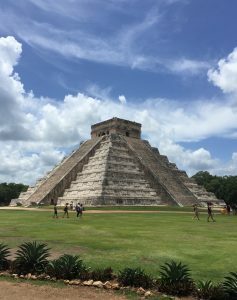 We used Taxi Colectivos to get to Chichen Itza and back from the Mayapan ruins. By the way, I don’t know if this is common or if we just had an eccentric driver, but expect to make random stops with your Taxi Colectivo. Our driver would hop out and have a quick chat with a shopkeeper or a neighbor working on a car, before hopping back in and continuing on. Perhaps he was ordering dinner for later or setting up an appointment with his mechanic while at work? The other riders seemed nonplussed by this, so perhaps it’s normal behavior? I’m not complaining though, the driver’s got a life too. He can do all his errands if he’s going to get me back to my hostel for less than $2. We got a taxi collective to Chichen Itza for only $1.50USD a person! I’m sure guided tour buses are WAY more. While walking and driving around Mexico, I continued to be in awe of one thing: this country is both beautifully built and crumbling at the same time. It is two worlds coexisting simultaneously. At one moment you are walking down a street lined with pastel European style mansions and on the same block you’ll see a whitewashed, barren home with bars over the windows and chipped brick scattered across the broken sidewalk. In the cities, you’ll find a magnificent, towering churches filled with historical beauty and in the country you’ll see abandoned concrete shacks overgrown and forgotten. The sidewalks are another interesting feature. At one moment you’re walking on relatively normal concrete and then the next it narrows to the exact width of your body. Then you’re going up stairs and three feet above the street, and next you’re descending back to normal. Mexico is unpredictable. These were both on the same tour of Merida. 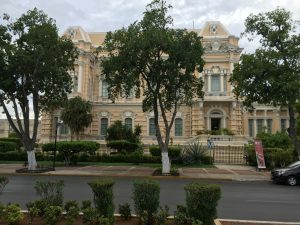 Since the buildings and streets of Mexico are constantly shifting, it can be hard to know when you’re in a good or bad part of town. 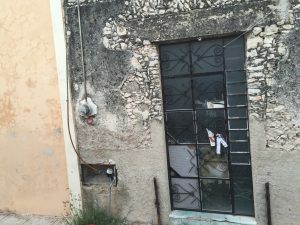 You may think the decaying buildings are a sign you’re in a bad area, but that is so common here and it changes so suddenly that it isn’t a good indicator. Luckily, knowing which parts of town were good and bad didn’t seem to be an issue because we felt safe in every area during the day and evenings. This was something that surprised me. Normally when I travel to new places, I constantly have to watch for pickpockets and often find myself in areas that make me feel uneasy. Yet in Mexico, we very rarely saw people who made us feel uncomfortable. The Mexican people were incredibly friendly and hospitable overall. For example, although I got some lustful looks, I only got catcalled once the whole week That’s better than Montana! Maybe it was just because Peter was with me, but nevertheless, the men’s manners were a refreshing change. Although we felt safe, I wouldn’t be fully honest if I didn’t mention that when traveling to Mexico, be prepared for hagglers. When visiting markets or shop-laden areas, more often than not, you’ll find men attempting to usher you into their store or restaurant. They’ll do anything they can think of to get you to look at their stuff, from comments like, “Amigo, check out my shop. Almost free!” to helping you find a bathroom so you will repay them by browsing their goods. To their credit, as soon as you say “No, gracias,” the majority will leave you alone. 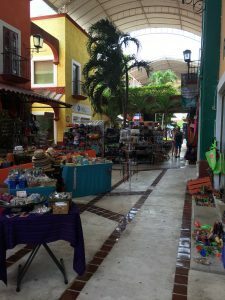 Market 28 in Cancun was a fun experience but filled with hagglers! Speaking of Spanish, I hate to break the bad news, but you’ll have to learn some if you want to get around Mexico with ease. The good news is that “No, gracias” is the most frequent phrase you’ll use, but you’ll need to know more than that. Peter and I were lucky enough to meet our new friend Angie from Spain. We got to pester her constantly with questions so our Spanish has gotten exponentially better, although it’s still about preschool level. As long as you know travel related terms and how to ask questions, you should be good to go. My Google translator app definitely came in handy too, when it worked. My final comment on Mexico is don’t be afraid to stray from the touristy Zona Hotelerias (hotel zones). Mexico has so much to offer, and those areas are nothing but an extension of the U.S anyway. Follow the locals, and you will be amazed by the food you eat and the places you see. I have never had better Mexican than when I ordered chicken enchiladas from an open-air restaurant filled with locals. Ask questions, explore, and enjoy!